After a one-year assessment-driven, broad-based process by faculty, staff, and students to identify a plan that could be further developed in a second phase of the Quality Enhancement Project (QEP), a recommendation by the leadership panel was made to Dr. Caughman that ACE (Academic Community Engagement) and LEAP (Leadership, Engagement, and Professionalism) be combined. 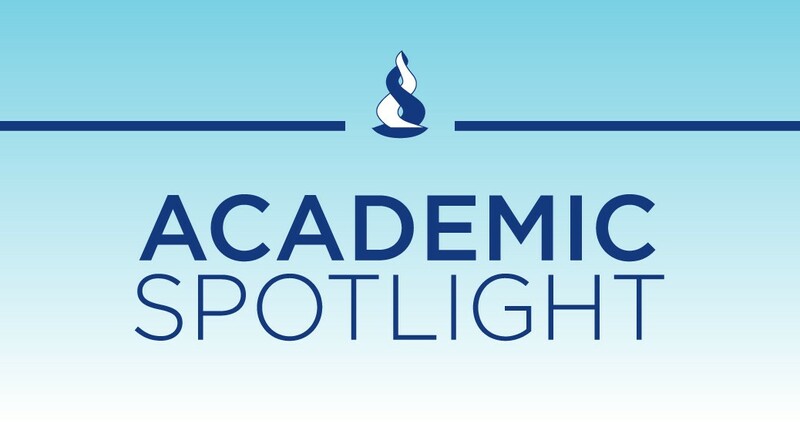 Using a prescribed logic model, the authors of the two proposals presented their ideas to Provost Gretchen Caughman and other members of a specially appointed Leadership Panel earlier this month. The feedback was that both proposals were excellent and each had the potential to significantly impact student learning and foster collaboration and buy-in across multiple programs, while also having the feasibility to be implemented in the timeframe that will be expected by the SACSCOC. The consensus of the panel, which included all nine deans as well as officers representing academic, student, and administrative support services, was that LEAP was the stronger overall proposal, but that the ACE plan’s integration of community engagement was more fleshed out. The panel discussed the possibility of combining the proposals to leverage the strengths of both, and based on its input, Caughman recommended that a QEP should be further developed based on LEAP’s overall framework with the ACE plan’s structure for community-based research and Study Away integrated as part of the capstone experience. The QEP Core Team is pleased to inform you that the deadline for submitting QEP Proposals has been extended to Wednesday, Nov. 12. Members of the team have heard many excellent ideas from faculty, staff, and students for plans that incorporate the principal theme of Experiential Learning and one or more of the subthemes of Leadership, Research and Scholarship, and Community Engagement. We want to ensure you have ample opportunity to express your ideas in the proposal format, and our hope is that the additional time will provide that opportunity. The Core Team is available to assist you with developing your proposal. If you are planning to submit a proposal, please contact either one of the team members or QEP@gru.edu as soon as possible so we can arrange to provide you with any guidance or assistance you need when completing your proposal. Both the QEP Proposal Guidelines as well as the list of Core Team members can be found at gru.edu/QEP. Experiential Learning has been selected as the theme for our QEP, and now it’s time to submit your proposal. The QEP Core Team is currently calling for proposals that meet the expectations of SACSCOC for a Quality Enhancement Plan. The deadline for submissions is Monday, Nov. 3. This process is open to all members of the GRU community. To learn more about the QEP theme, subthemes, and the required learning outcome, visit gru.edu/QEP. The next QEP drop-in workshop will be Monday, Oct. 27, from 11 a.m.-1 p.m. in Terrace Dining, Magnolia/Dogwood rooms, on the Health Sciences Campus. For information on parking and other logistics, contact qep@gru.edu. The QEP is more than an accreditation requirement; it is an important university initiative to impact student learning. The plan that is selected and developed will be implemented over a five-year period, and its effects will last even longer. If you are unable to attend the workshops, please contact a member of the Core Team to schedule special assistance. Do you have a great idea to enhance student learning and experiential learning? If so, you could have the foundations for the next Quality Enhancement Plan, and you are invited to submit your proposal. But you should review the process and understand a little more about Quality Enhancement Plans, before you start. To find out more about experiential learning and the three subthemes, visit gru.edu/qep/. The team wants the process to be a collaborative discussion which you can join by leaving your feedback on the website. The deadline for submissions is Nov. 3 at 11:59 p.m. There are also three subthemes that the QEP Core Team identified, and one or more of them should be incorporated into the planning: leadership, community engagement, and research and scholarship. Also, proposals should have written and oral communication skills included in learning outcomes. To find out more about QEP, the themes or the subthemes, visit gru.edu/qep. Updated information on theme profiles and proposal guidelines will also be posted. 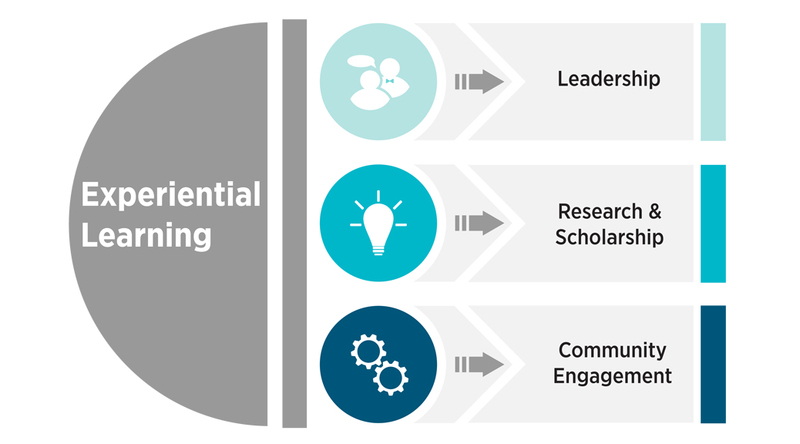 For GRU’s first Quality Enhancement Plan, the QEP Core Team has selected Experiential Learning as the principal theme and the subthemes of Leadership, Research & Scholarship, and Community Engagement. Each week leading up to an open call for QEP proposals starting Sept. 15, we will host a virtual discussion on each of the themes/subthemes, featuring various information resources. Please visit the QEP Website regularly to review the information we have collected and provide your insights on these topics. After reviewing more than 50 theme ideas, the QEP Core Team has selected experiential learning as the principal theme to enhance student learning in a specific, measurable way. Over the next few weeks, the team will examine each subtheme and how each relates to both experiential learning and GRU’s mission. In September, the team will open an invitation to staff, faculty, and students to submit a detailed QEP proposal putting this theme as well as one or more of the subthemes into action. To find out more about QEP, visit the gru.edu/qep. Updated information on theme profiles and proposal guidelines will also be posted.